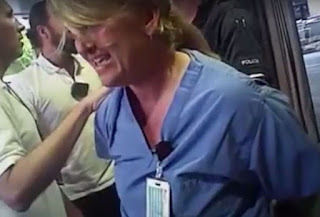 Alarming footage has emerged showing the moment a nurse is aggressively arrested because she was following hospital procedure. In the video, Alex Wubbels is seen discussing a warrant Salt Lake City Police detective Jeff Payne has brought in to gather blood vials for an investigation. Wubbels has her superior on the phone as she goes through the warrant and claims that it does not match with the criteria to legally execute it at the Utah hospital. Payne pushes Wubbels toward and exit, bends her over something outside and arrests her. She cries out ‘help me!’ and begins to sob. The two officers with Payne do nothing throughout the arrest. Wubbles is placed in a car and sits there for 20 minutes before she is uncuffed. 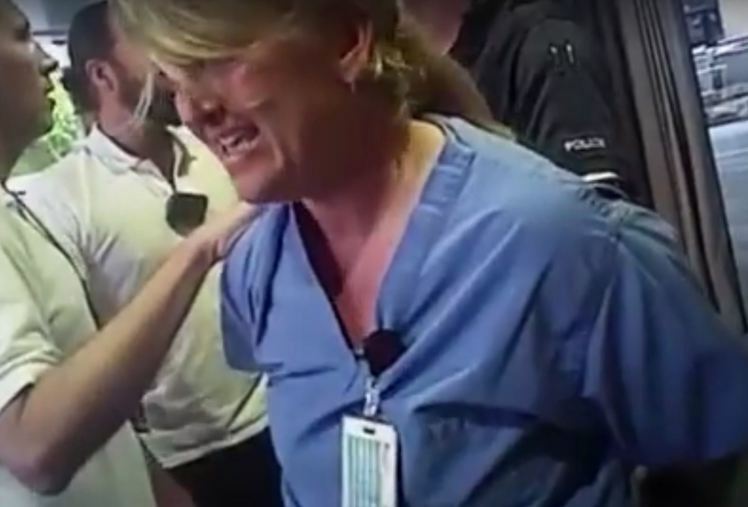 No charges were ever brought against her and the detective still has his job following the July incident, though he’s been taken off the blood draw program, reports Desert News. Salt Lake Police sergeant Brandon Shearer said chief Mike Brown had seen the video and branded it ‘very alarming’.